Hitler's New German Reichschancellery in Berlin 1938-1945. 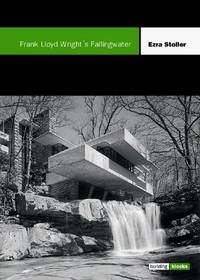 Regardless of politics, this book is an extraordinary record of an historic building and celebrates one of the most remarkable, historically important visionary works of romantic architecture of the 20th Century. Frank Lloyd Wright's Fallingwater (Building Block Series). By Stoller, Ezra (Photographs), Introduction by Neil Levine. New York: Princeton Architectural Press, 1999. First Edition, First Printing Cloth AS NEW in AS NEW DJ 12mo (5-1/2 x 7-1/4), 90 pp. Hardbound First Edition is FINE -- unmarked, unread, and AS NEW in AS NEW (normal shelf bumps) pictorial DJ. (h) OF all Frank Lloyd Wright's groundbreaking architectural innovations, this was the earliest, most shocking, historically still important structure. Most of the photographs were shot in 1963 on commission by the Museum of Modern Art in New York and have become historical landmarks in their own right. One of the highly-regarded Building Blocks series. American Architecture Since 1780: A Guide to the Styles. Cambridge: M.I.T. Press, 1969. First Edition, First Printing Printed Wraps AS NEW in WRAPS 12mo (5-1/2 x7-1/2), 313 pp including Index, Bibliography, and Glossary. Clear, concise, well-written and complete guide to American Architecture. Softcover with plastic spiral/ring binding (no spine, pages all lie flat), front cover is red, back cover is another front cover, but in blue. (h) This seems to be a handmade version of this book, clean, Unmarked, apparently Unread, and AS NEW. Professor Whiffen wrote the book with students of his "History of Architecture" class, few of whom majored in History and none of whom majored in Architecture. He set it up to be a sort of field guide (comparing to such guides for birds, trees, etc), showing and describing the characteristic features of 40 different styles. 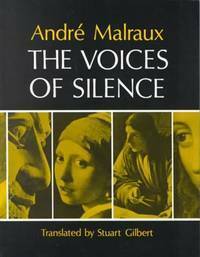 By Malraux, Andre. Translated from the French by Stuart Gilbert. Princeton, NJ: Princeton University Press, 1978. First Paperback Edition Glossy Pictorial Wraps NEW Large 8vo (6-1/2 x 8-1/2), 661 pp including List of Illustrations and Synopsis. BOLLINGEN SERIES XXIV - A. NEW paperbound book in glossy pictorial wraps UNMARKED except for the small (1" x 1") Metropolitan Museum of Art price label inside front cover. The landmark work that introduced the concept of "Museum without Walls." Original edition was published in 1953 and was based on Malraux's 3 Volume "The Psychology of Art," published as Bollingen Series XXIV in 1949 and 1950. Gargoyles and Grotesques: Paganism in the Medieval Church. By Sheridan, Ronald; Ross, Anne. Boston: New York Graphic Society, 1975. First Edition Cloth Fine in Near Fine DJ 4to (8-3/4 x 11-1/4), 127 pp including Index and Selected Bibliography. Hardbound book is FINE in blue cloth with gold type on spine. DJ is NEAR FINE with no rips,tears, or marks but some slight yellowing on the INSIDE of the DJ, now not visible inside BRO-DART cover.